I had a quiet time in the studio last night. Not that the studio was quiet, but just that I was. Special thanks to Hide for letting me work in the corner while he taught his class! They're in the midst of a four week mini-class to introduce throwing, and they're really cranking stuff out! Making me feel like a slacker, now that I'm intentionally slowing myself down just a little bit. Mountain jars. There's two more of these that are still awaiting their mountains. Do we think I can have these commissions done before Christmas? I think it's looking promising. Lids for the jars - or small bowls. I should be able to get these trimmed tonight. Definitely not the easiest way to make lids, but I think it's my prefered method. That was pretty much it. I got 90 solid "working" minutes in, I think, before clean-up, and then I had to dash off to take Krystal salsa dancing. Because that's what us cool people do on Tuesday nights in FoCo. On an unrelated note, you may have noticed that there are two panels of ads on my site (to your right, and at the bottom of the page). I put them there mostly as an experiment (I've made almost $5 this year! ), and they're provided by a Google service called AdSense, which generates the ads based on whatever it is I talk about. Normally they cycle between pottery suppliers, paint-your-own studios, and Pottery Barn, but today I pulled up my site to find an ad for Driscoll's, who claim, and follow through, to provide "The Finest Berries in the World." It is officially the highlight of my Wednesday thus far. 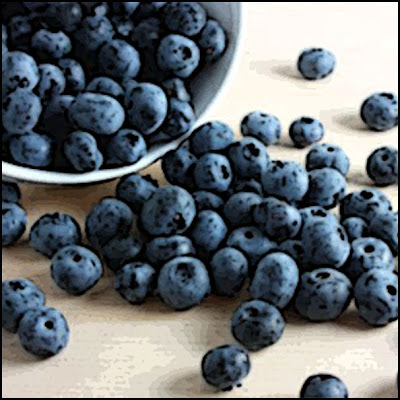 I'm not sure if I've ever mentioned it before, but I truly love blueberries (note: I did mention it, once, on July 23, 2009, but I'm not sure that explains the ad's presence). As a child, I think I claimed these tiny fruits as my favorite food, and I rediscovered my passion for them this summer when peak season came and we could pick them up at unreasonably low prices. I'm pretty sure the best I saw was a 5# box for $8.88 at our local King Soopers, which was almost too good to pass on, but I'm not sure that even I could have cleaned up five pounds before they started to go bad. We never had less than two pints of blueberries in our fridge, and I savored them by the handful all summer long. I don't know if Driscoll's are the best berries in the world (Minnesota wild blueberries are a whole different beast in my book, for the record), but they are the most readily available, and always flavorful, and I am more than happy to have had their advertisement grace my blog. We, as a household, also support their endeavors in the form of raspberries and strawberries as well (Krystal goes through at least a pound of the strawberry goodness every week). I also appreciate Driscoll's for their reasonably priced organic berries as well, and will happily vouch for the superior quality of organic vs. traditional berries. They are, in fact, juicier, more flavorful, and less likely to go mushy in your fridge. Although that last one may be the only objective judgment in the bunch. In any event, check out the Driscoll's website, because it's loaded with all sorts of fun stuff like recipes (pork belly w/blueberry compote, anyone? ), history, farming techniques, and even the ability to track from whence your berries came. Craziness. Here ends my ode to the indigo goodness we call blueberries.